This is another one of those topics that is the bane of the cook’s existence, the boiling point for chefs, and a source of dismay for owners and servers. Personally, I have always stressed that the kitchen should be able to accommodate the needs and desires of the guest, until those requests become absurd or contrary to the reputation of the restaurant. Even though I might promote flexibility, there are many reasons why those special requests cause friction between the front and back of the house, become the straw that broke the cooks back, and drive chefs to drink. The mise en place for a line cooks station is as precise as the surgical set-up in an operating room, or the defined location of gauges and controls in a pilot’s cockpit. Everything needs to be in a certain spot to ensure that the cook is able to grab what he or she needs without even thinking about it. This set-up is built from the restaurant menu and the order by which each menu item is assembled. This order is the safety blanket for every cook. His or her individual comfort level on any given shift is determined by the precise definition of this mise. When the board is jammed up with tickets and every item defined by abbreviations or acronyms, a cook does not have time to “think differently” about preparation and steps. It may sound crazy, unless you have held that position. Any deviation from the process, or the steps that a cook is trained to follow, can and does, throw off the pace and maybe even the concentration that he or she depends on. It is a fine tuned machine that doesn’t fair well when someone throws a stone in the gear mechanism. I have seen lines go down when the system is thrown off kilter. It is a moment when everything seems to revert to slow motion: the cook stops to view the special request, his eyes glaze over, the repository of active information being used up to that point is suddenly wiped clean, his head looks to the ground, a few expletives echo from deep in his throat, sauté pans begin to smoke, a blazing hot pan handle is inadvertently grabbed with a bare hand, the pan falls to the floor spraying hot clarified butter, the cook wraps a towel around the throbbing hand as he rushes for the sink and a cold water wash, and the rest of the team looks on in disbelief. The night is doomed, all because of the special request that messed with a cook’s mise. From the chef’s perspective, menu items were built from a painstaking process of testing and marrying various flavors and textures, and having various members of the staff taste and critique until consensus is reached. The dish has become a reflection of the restaurant concept and the chef’s food philosophy. Now the guest asks if the sauce can be put on the side, if the scallops normally cooked medium rare can be well done, and if the potato and celeriac puree can be replaced with French fries. Suddenly, that perfectly designed dish has become nothing but cooked food. Yes, the customer should be treated as if they are always right, but in this case they aren’t. The chef accommodates, but feels that this is similar to asking an author to word things differently, a musician to substitute some different chords in a song, or a painter to replace those beautiful earth tones with loud and abrasive florescent paint. 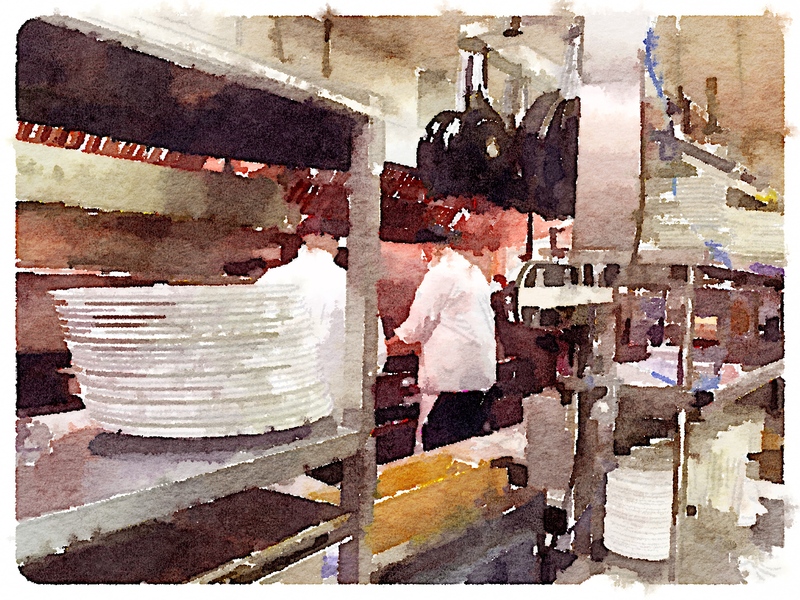 We do it, but everyone can certainly understand why those who live the kitchen life, take offense. A well-executed dish tells a story, and asking to change the story can be disheartening at best. 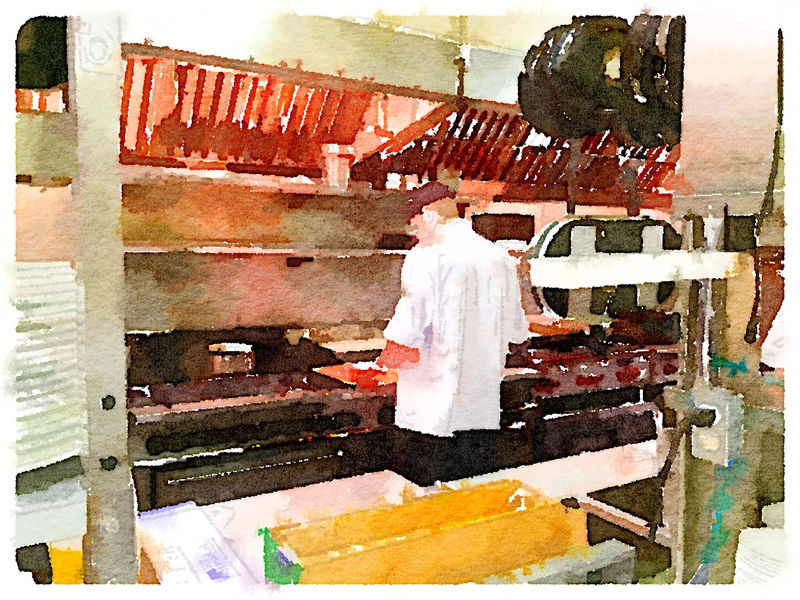 OK, some may say, “Come on – it’s only food and if I want fries with my dried out scallops, then deal with it.” We do, but it grates on the nerves of serious cooks and chefs and unless you live that life, it is difficult to understand. Now, the server is in the worst position. The cook is looking back with glazed eyes, the line has come to a stop, the chef is fuming and muttering something about the integrity of the dish, all the while the guest simply asked for sauce on the side, a different degree of doneness and a substitute starch. They don’t get why there is such a fuss, the guest is living in the unawareness zone, the cooks are taking out their frustration on the server, and the temperature in the kitchen is rising by the minute. In a perfect world, the chef would simply say, “Of course, not a problem,” the line cook would respond, “Yes, chef,” the item would be completed and plated with the same finesse as any other dish, the line would not miss a beat, and the guest would live happily ever-after; if it were only that easy. These requests happen every day, in every kitchen. Chefs and cooks typically take care of them and the guest never knows the ramifications and hopefully never sees a problem with the dish when presented. The reality is, special orders do upset us, but we take care of them anyway. The guest must always feel like he or she is being reasonably accommodated, however, it only makes sense to help the guest discover the dish the way it was meant to be. These are thoughts based on experience. To every cook on the line, and every chef at the expo station, “I feel your pain, I have been there.” What do you think? A book about the adventures of two cooks moving through their careers and lives until the Event changes what they know, and what they believe in. This couldnot have been explained any better! You have taken what we think every day and put them down in some wonderfully mastered words! Thank you! !